Hello Loves! I received my very first Scribbler box and I could not be more excited about this box. We met as aspiring novelists—attending author signings, fretting over shoddy manuscripts, searching for agents, and dreaming of seeing our books on shelves. When we landed our first book deals (within forty-five days of each other), we did so together—the first time over the phone (Lindsay! ), and the second at the Texas Library Association Convention (Victoria!). Today, we have seventeen traditionally published books between us, and we still share our successes and failures. Which is why we decided that together we'd launch the company we wished we had when we first started out, and one we could utilize today. A box that would improve a writer’s craft, would inspire and motivate them to push onward, would supply quality reading material to learn by, and would lower the divide between publishing professionals and authors. We can't wait to have you join the Scribblers! 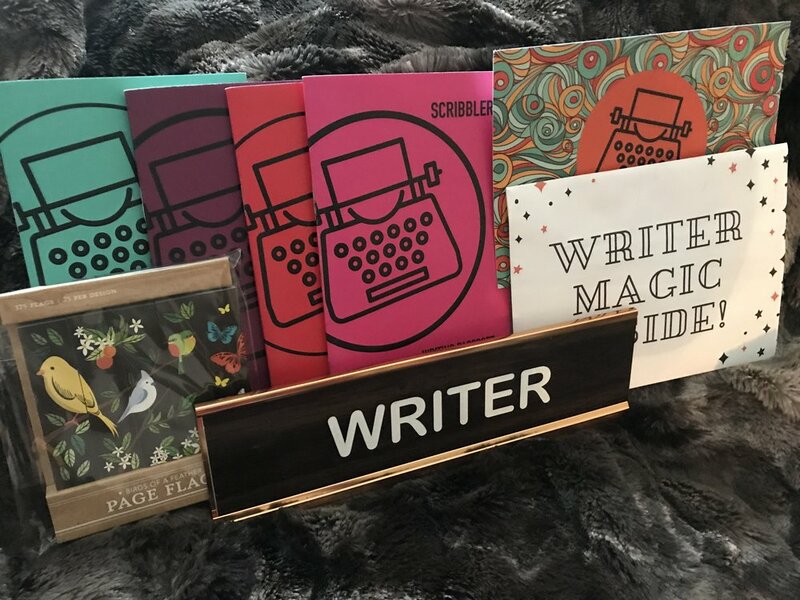 With this being my very first box, I purchased a couple extra of items from their website; a writer nameplate, a “go away I’m writing” sticker, additional passports from previous boxes, and word count stickers. I loved everything. So…what was in this month’s Scibbler box? This is a very important question and the beautiful magnet that scribbler included will be sure to help you remember. I am a tea and coffee drinker to my core. I love my caffeine. Any inclusion of tea or coffee will make me happy. Scribbler included a “My heart is filled with stories” print. My last name is Hart, so I have a lot of heart-shaped images. But mine are usually Valentine’s Day type of hearts, not anatomically correct hearts. I thought this was a fun type of differentiation. This will certainly be a unique print amongst my collection. To brighten up this fall and winter writing sessions, Scribbler included some bird post-its. I did not know about Scribbler’s live events. Oh, my goodness! A half-hour livestream discussion with editor, Sarah Goodman, over on YouTube was such a great idea. I was so happy I was able to watch live. 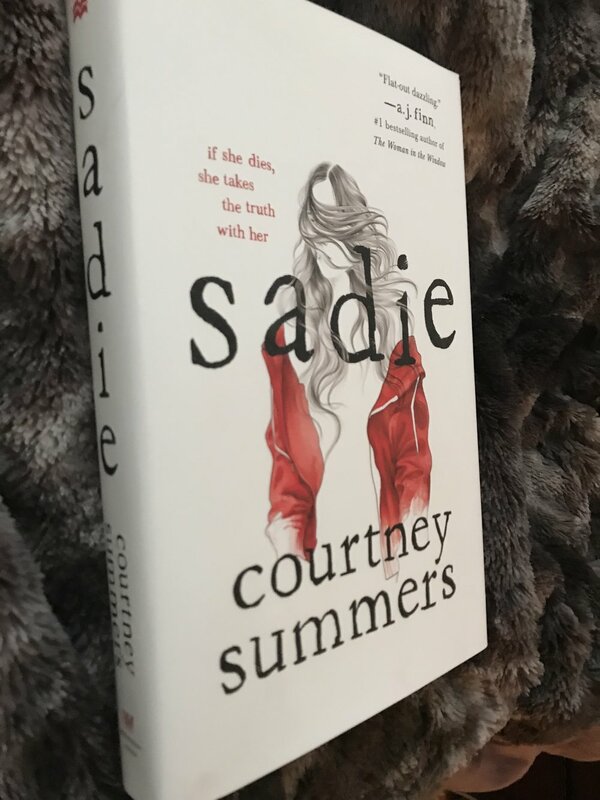 To go along with this, Scribbler included emails between Sarah and Courtney Summers discussing her writing process. Talk about a true inside look. As I was opening the box, Max decided to guard this month’s book, Sadie. My first box was an amazing box. They knocked it out of the park. I am already looking forward to my next Scribbler box. Five plus stars. What is your favorite subscription box for writers?